1. When the game begins you will have the regular canon, 5x black bombs, and 5x 30 second time pack that you can use during the gameplay. 2. The Regular canon fires the normal jewel ammo, special power jewel ammo and black bombs that can be selected from the items page before the game begins. 3. The black bomb is used in the gameplay to destroy any obstacle wood/metal that the jewel snake uses to hide himself. You drag and drop the bomb in the next area on the left area of the screen to activate the bomb to be fire at the obstacle during gameplay. 4. The 30 second time pack is used to add 30 seconds of extra gameplay time to the level so you have enough time to match the rest of jewels in the snake to clear the level. To Activate time pack you touch the clock on the top left side of the screen to add more time to your gameplay. 6. The Slow Motion Canon is used to slow the fast moving jewel snake down during the gameplay so the player has enough time to match 3 of the same color jewels in the snake to clear the level. 7. The Rapid Fire Canon is used to fire 6 fast burst of white jewels at the jewel snake that can destroy any single color jewel at a time during the gameplay. 1. Avoid Firing Extra color jewels that isn't needed at the jewel snake unless that color jewel is needed to match 3 of the same color. Fire them away to change the jewel color in the next box. 2. Always keep an eye on your game timer so you know when to add an extra 30 seconds to clear the level. 3. Destroy Obstacles in the game to get a clear path to shoot the jewels at the jewel snake. 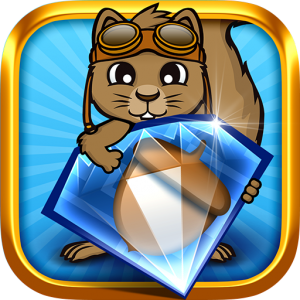 Powered by Benjamin Enterprise LLC | Theme: Squirrel Power!! !